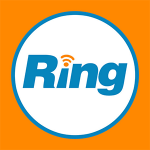 join.me provides remote-connectivity conferencing and communication support solutions ideal for small businesses. Its features include scheduling, screen sharing, presenter swapping, toll-free audio conferencing, and mobile applications, among others. In this article, we cover join.me reviews and pricing. Ready to get started? Create a free account. Users who gave join.me a positive review like that it is user-friendly and easy to learn. They also mentioned that it helps them encourage participation and interaction during virtual meetings through its range of communication support tools. Users who gave join.me a negative review complained that they experience frequent interruptions, glitches, and delays while using the software. They also said that its video and audio qualities are inconsistent. One user who gave join.me a negative review on G2 Crowd commented that its screen sharing tends to lag. This makes it impossible for them to use during client meetings, leading them to lose several deals. The join.me pricing scheme is based on four plans that are billed annually: Free ($0 per user, per month), Lite ($10 per user, per month), Pro ($20 per user, per month), and Business ($30 per user, per month). The main differences between the plans are the number of participants, the amount of cloud storage, and advanced features such as bulk imports and scheduling, among others. Ready to get started with join.me? Create a free account. Are onboarding & software training available? Yes, join.me provides training to its users to help them make the most of their subscription. 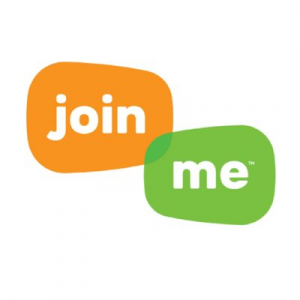 Is the join.me mobile app available for download? Yes, you may download the app from the Play Store or the App Store. However, Android users may only access its features with either a Pro or a Business subscription. Have you read these join.me reviews and are still not sure if it’s the right fit for you? 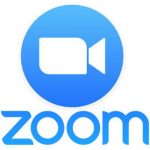 Read our reviews of all top video conferencing software or check out one of these three join.me competitors. This software is easy to use for those within the organization as well as those outside of our organization. Sharing the link to join is easy and connectivity is good. Some folks are confused by the huge number of phone number options and those seem unnecessary. I wish I had known this was an option years ago. This is much better than some of the other solutions we tried and connectivity has been excellent. Excellent conference call and screen sharing. It allows other users who have not registered in the accounts to share their screens and allow acquisitions. Recording is a great feature, as well as being able to see who is in a meeting. A bit of awkward and antiquated user face. There are no alerts when someone is in your conference. Customers need to download the application to share their screen, which is also a problem sometimes. Sometimes, connectivity is a problem. Internet Explorer compatibility in single view mode has been a problem recently because the clients we work with may not have updated their local software. At first it took us a bit to use it but when we could handle it, it did not seem so complicated, now that we have mastered it, it has become our favorite tool. The only thing we did not like was that it had made us somewhat confused in some aspects, which led us to believe that it was complex but it is not. It would have been important that someone had let us know how we should use it because at first we thought it was not for us, we consider it difficult when it is really easy to use it. The relationship with our clients has improved due to their effectiveness in working and also that of our employees because it is a program with such profitable options. There are only two things that we do not like and that is that if the Internet connection is not the best, you can not work well and not allow adding to many users even being a paid version. 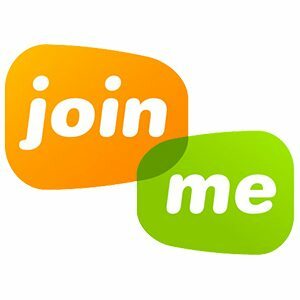 Join.Me is a great program of internet calls, it allows me to hold conferences and I can also share my screen. It is very easy to set up calls. Its price structure is excellent. The customer service could improve and be more attentive and interested in the needs of their customers, I had some problems to contact me. Our customers are very happy with their virtual platform. Join.Me is an excellent resource and it is very convenient for me, with him I can stay connected with my clients, even if I am not in the office.